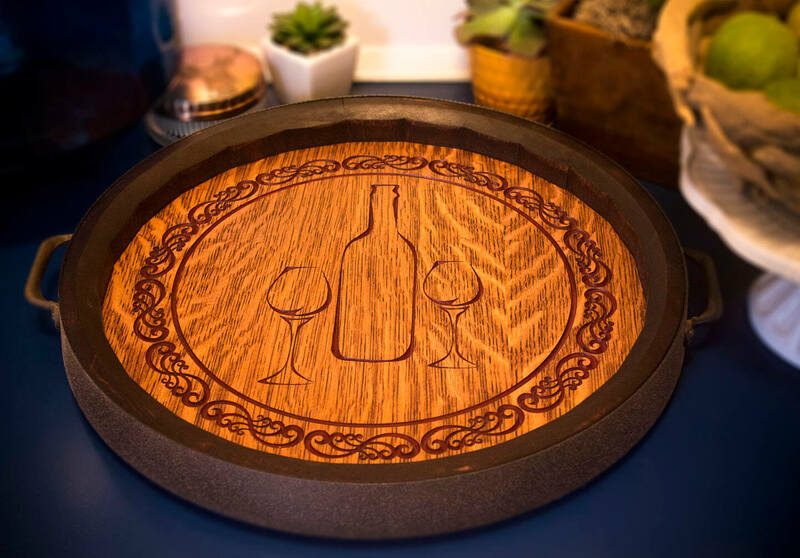 Order this very unique and charming barrel head serving tray in the stain color of your choice with or without optional lazy susan bearing and wine theme carving/painting shown. 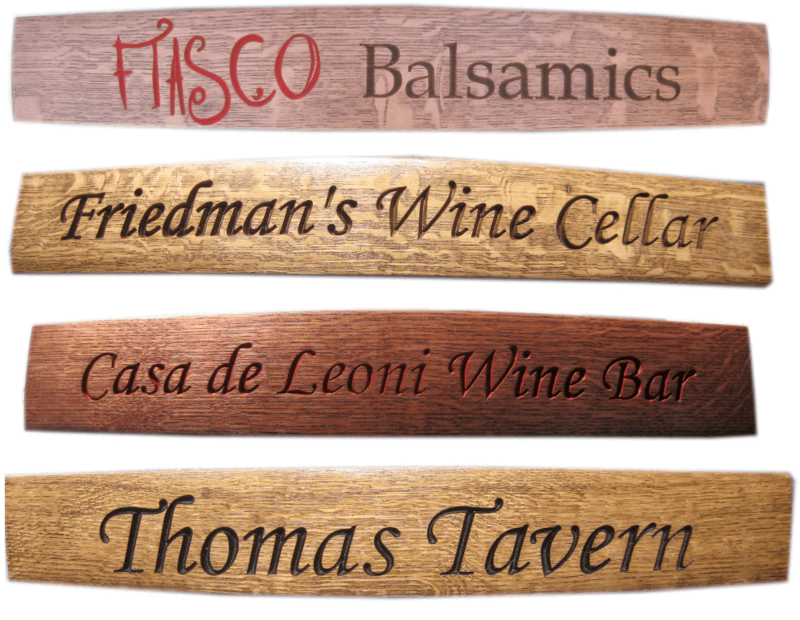 Or contact us for proof and quote with your desired text personalization, artwork or logo. See DESCRIPTION tab below for more detailed info. 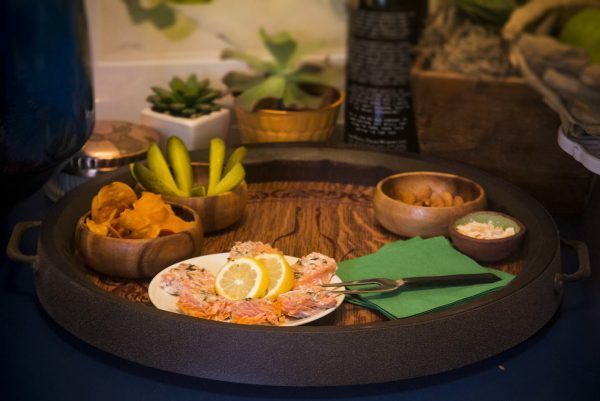 We make this charming unique wine barrel serving tray with optional lazy susan bearing from authentic quality materials to look exactly like a real barrel head. 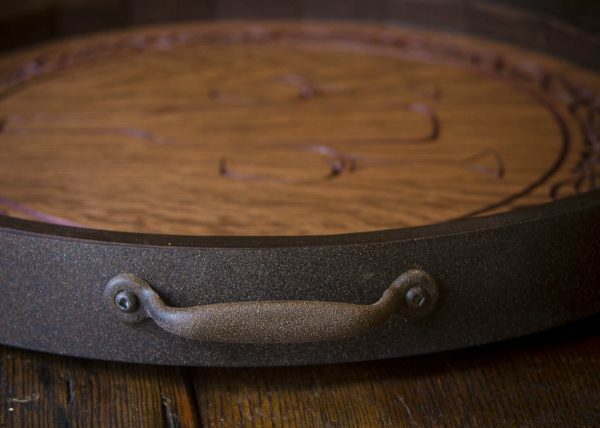 It includes a beautifully finished quarter-sawn planked oak head and side staves, and authentic steel barrel hoop with rivets and old style steel handles with a dark rustic finish. 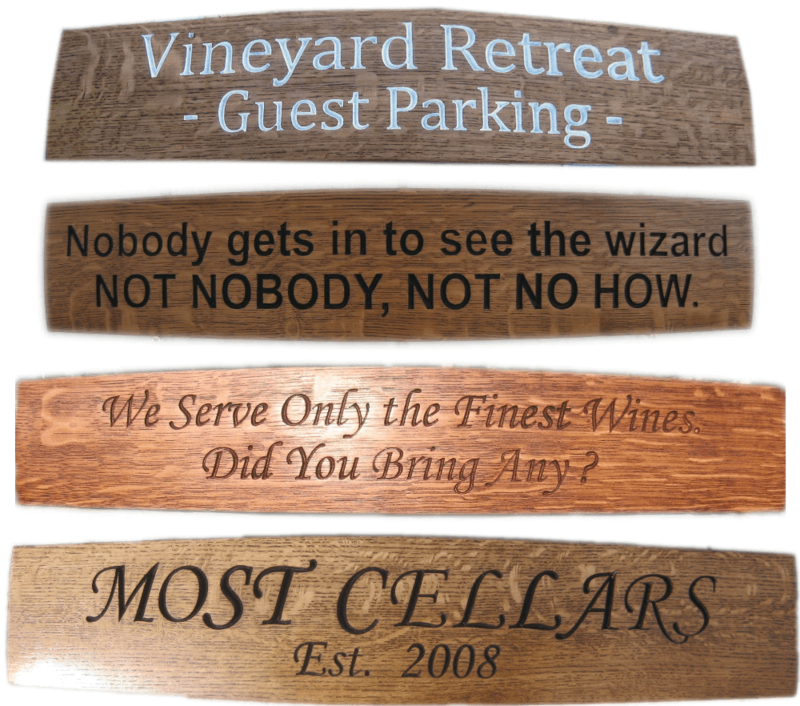 The head can be left blank or carved and painted with the attractive wine theme carving shown. 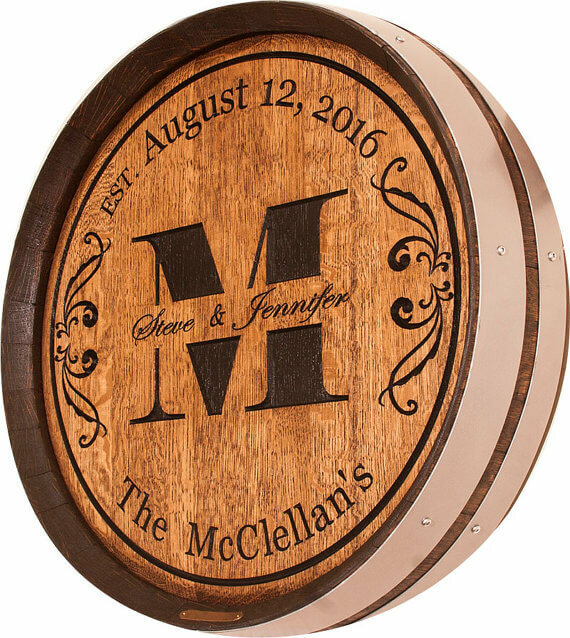 Or if you like, contact us with your desired text personalization, artwork or logo and we’ll provide a proof and quote for carving/painting it. Add the optional top quality lazy susan bearing for an even more functional table center piece. 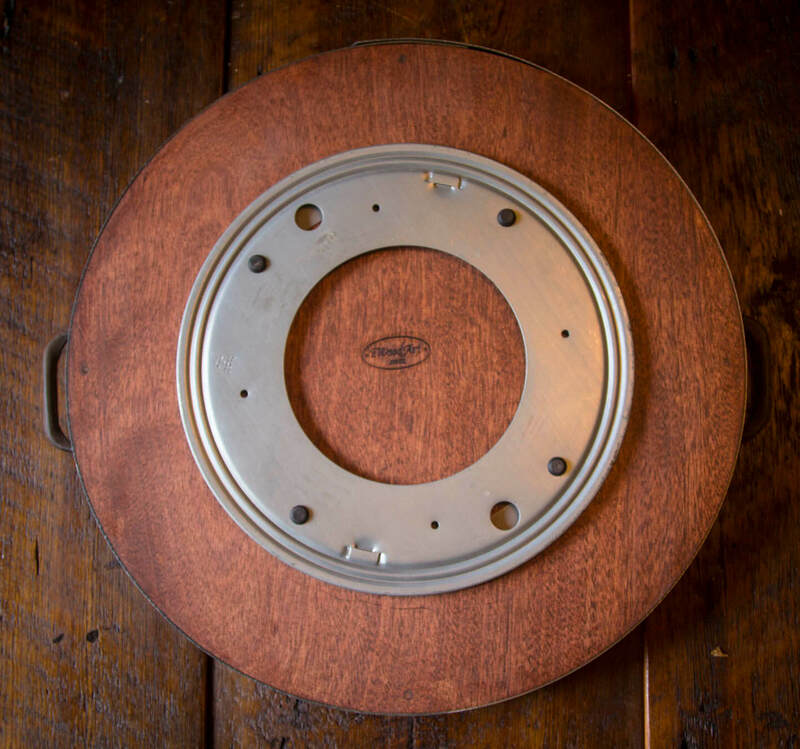 The bottom of the barrel head, or the lazy susan bearing, are equipped with non-mar rubber feet to protect your table top. 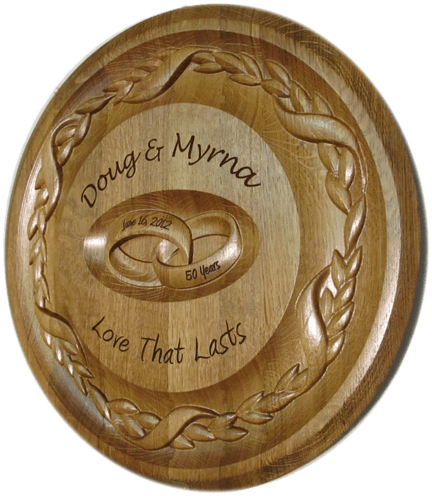 The example shown is stained red oak with semi-gloss lacquer topcoat and includes the optional wine theme carving/painting and lazy susan bearing. 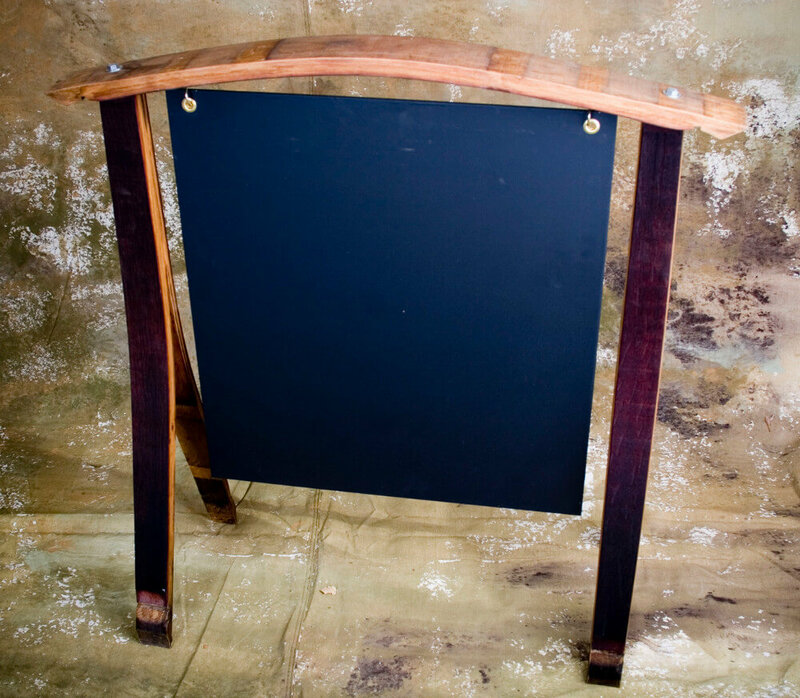 This beautiful and unique product was a donation from eWoodArt as a silent auction item for a local non-profit, http://www.jacksoncountycasa.org, of which I am a board member. 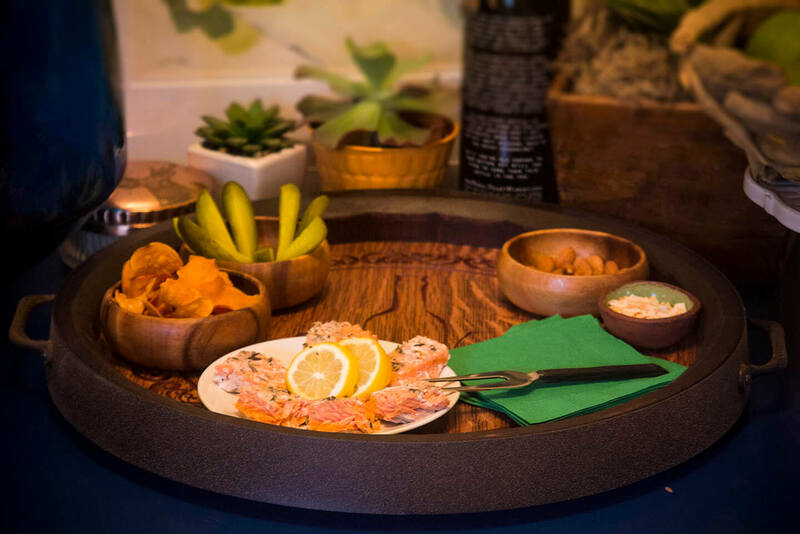 The barrel head/lazy Susan was a huge hit among attendees and staff and was bid up well above it’s suggested retail price. 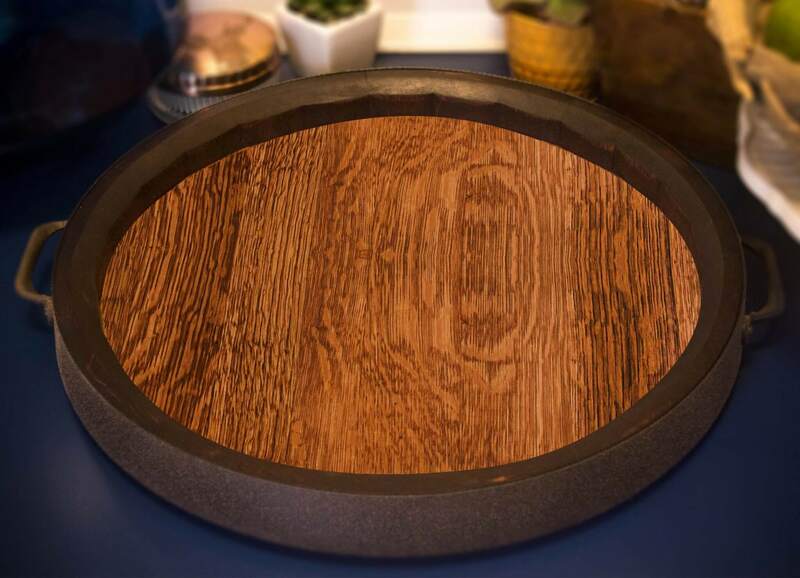 My husband and I will most definitely be ordering one for ourselves and in the near future, as the occasions arise, for our friends and family as they are so well done and will make wonderful gifts! I have rarely given a five star rating to any product but this one certainly deserves the highest rating! The wine barrel lazy Susan turned out beautiful. It was a Christmas gift for my mom and it now sits in the middle of her kitchen table! She loves it! Thank you!